Stagestruck Vermont girl Jenny Yates (Anne Shirley) manages to land a job with a ragtag stock company. This she does over the objections of her grandfather (Edward Ellis), who'd disowned Jenny's mother when she became an actress. After a series of amusing and bemusing setbacks, Jenny is discovered by a big-time producer and cast in the Broadway production "Virtue's Reward." Both the girl and the show are flops, but she finds a happily-ever-after with handsome Phil Greene (Phillips Holmes). 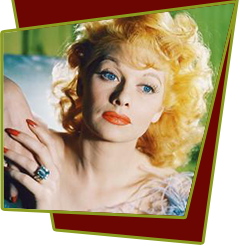 Special Notes: Lucille Ball makes a brief but amusing appearance as a snobbish small-time leading lady.